1. 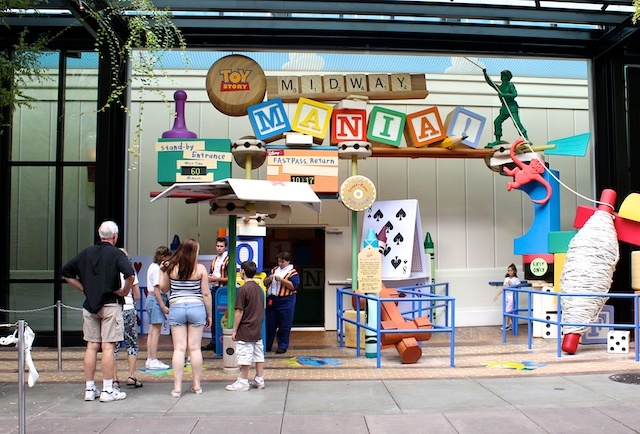 Favorite ride… Toy Story Midway Mania! This ride is at Hollywood Studios. The 3D glasses and the game was awesome. Although our kids had a hard time keeping the 3D glasses on, it was still their favorite. We think it’s better’ than Buzz Lightyear’s Space Ranger Spin. The wait was long on this one. Thanks to the fast pass we were able to avoid the 1 1/2 hour wait. And across from this ride is where you meet Buzz and Woody. 2. 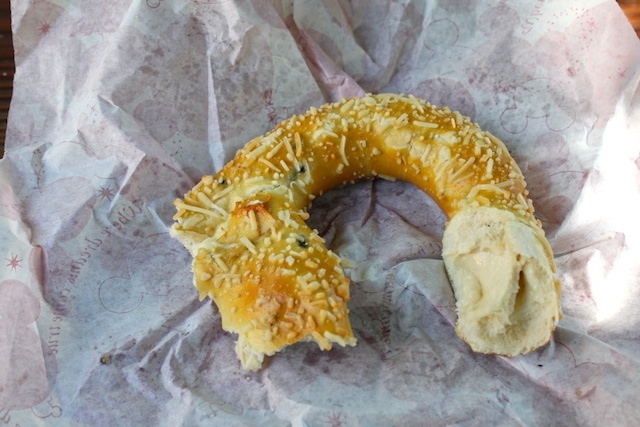 Favorite places to eat… Wolfgang Puck Express and jalapeño stuffed pretzel at Animal Kingdom. We had the quick service dining plan and Wolfgang Puck Express at Downtown Disney was high class, super delicious food. 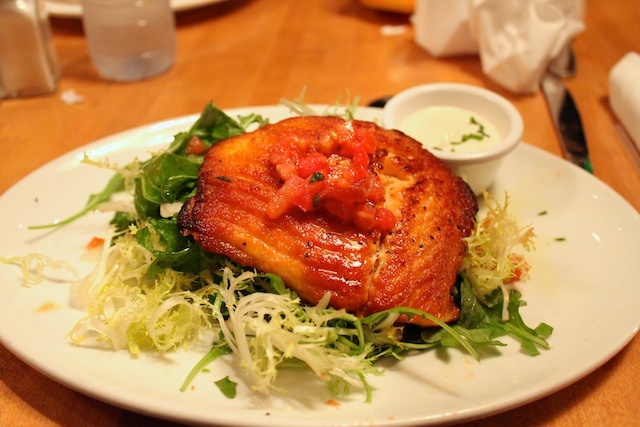 I ordered the salmon and it was one of the best salmon I’ve ever had. And our favorite snack was by far the jalapeño pretzel stuffed with cheese. We only found these pretzels at Animal Kingdom in one of those snack bars. Out of this world yummy. I’m drooling just thinking about it. I would totally go back to Disney just for these foods. 3. Favorite princess… Princess Tiana from The Princess and the Frog. 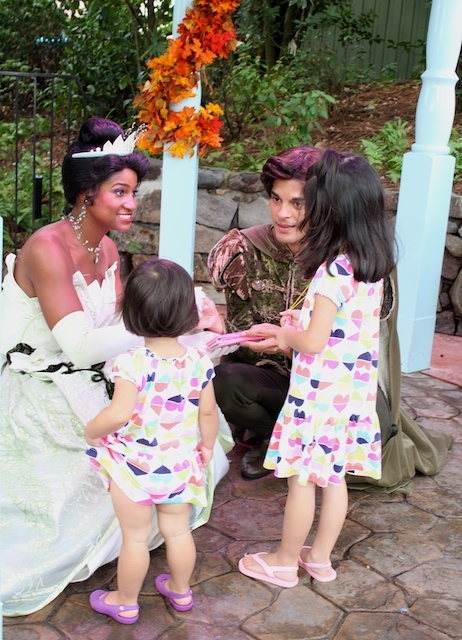 That’s Kaye’s favorite princess right now so it was a dream come true for her to meet Tiana and Prince Naveen. And this Princess Tiana was good. She had the thick New Orleans accent and all. You can find her in Magic Kingdom. 4. Favorite shows… The Lion King and Dream Along with Mickey. 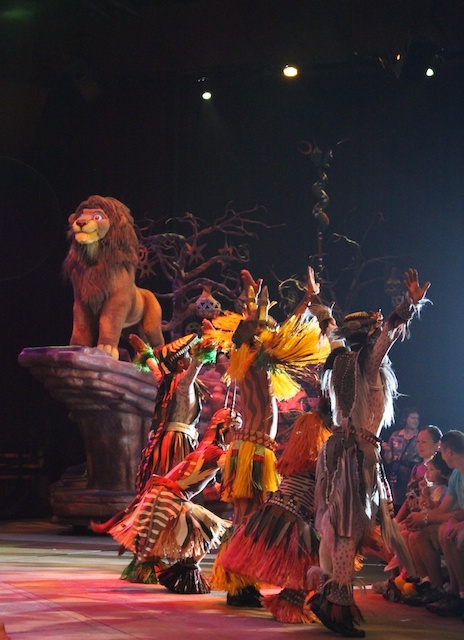 The Lion King is the best attraction at Animal Kingdom, in my opinion. I actually watched this show twice the day we were there. 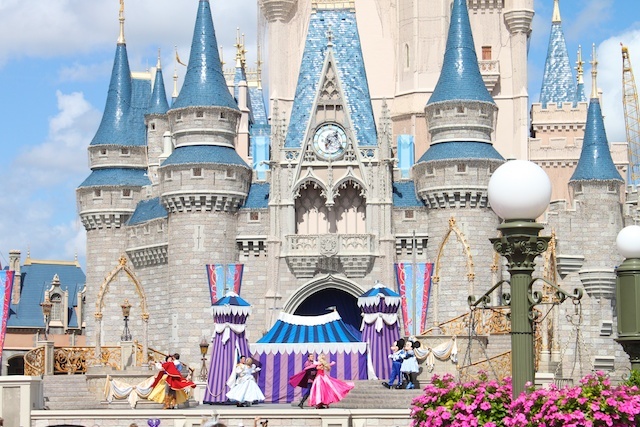 And Dream Along with Mickey (pictured at the very top) is a show they have in front of Cinderella’s castle. It runs several times a day and it involves some of the most popular characters and lots of dancing and singing. They girls watched it 3+ times while we were there. 5. 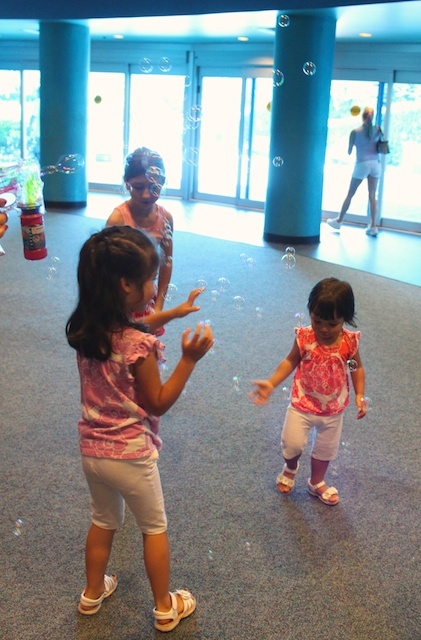 Kids’ favorite thing to do at Disney… Play with bubbles. Yes, even after we spent all that money to take them to Disney World, one of their favorite moments was playing with bubbles. They loved all of the Disney stuff, but it got a bit overstimulating for them at times. So when we found employees with bubbles, that’s where Kaye and Elle wanted to be. It was life saving at times when the kids were just at their wits end from waiting in lines and roaming all around the park. So we would find someone with bubble and they were good again. » Tell me… What are your favorites from any of the Disney parks? I especially want to know where you like to eat and your favorite rides. Did you see the Finding Nemo show at Animal Kingdom? It’s just as good as Lion King, in my opinion! We also LOVE the Soarin’ ride at Epcot…I could do it over and over! And I love the funnel cakes at Magic Kingdom! we did see finding nemo at animal kingdom. that was pretty cool too. Thanks for the tips. We are going for the first time with the kids in May. I can’t wait. I went for the first time back in June, and even though it was super hot, my kids and I enjoyed it immensely. The Moroccan food at Epcot was delicious, as were the napoleons in France. It was funny because even though my son is a fast paced sort of kid, he LOVED the Philharmagic 3D show in Magic Kingdom. I loved it because it was really neat to see characters that I loved as a kid modernized and set to an orchestra. My daughter loved the Lion King show as well, and I think we have a similar picture with the same Tiana!